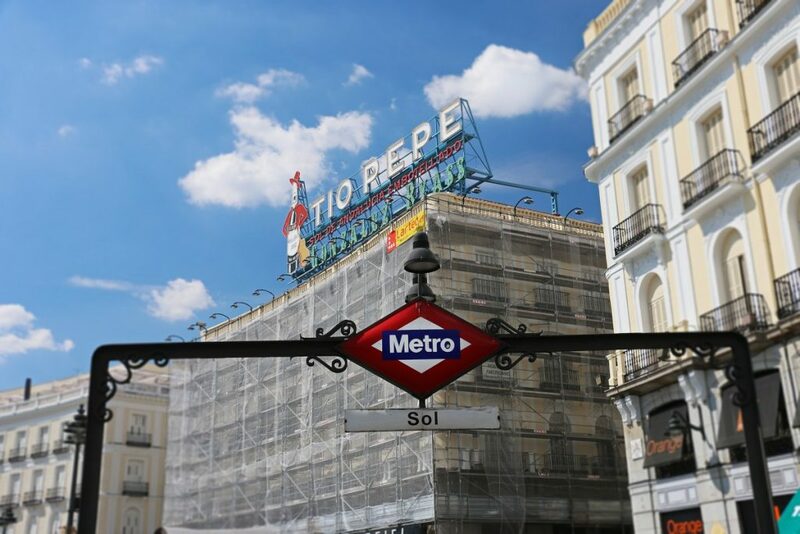 The Best Free Things to Do in Madrid – travelographie. Some of the best things I did in Madrid last week were totally free (or so cheap they might as well be). Eating African hot peppers and 6€ Senegalese stew in Lavapies (Madrid’s version of Queens), a week’s worth of free museum nights standing in awe in front of Guernica and Las Meninas, and staying out until 3AM with friends (and all the rest of Madrid). Like most European capitals, Madrid is an expensive city, but it also has a surprisingly extensive range of free and nearly free activities. 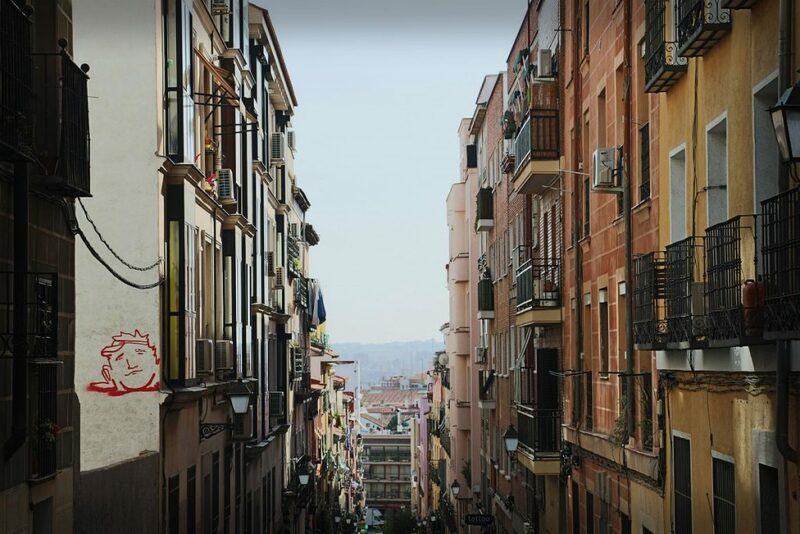 Whether you are on a shoestring budget or not, free is free, and the Spanish capital offers plenty of other ways to spend those Euros saved. Here’s how I made the most of my travel budget in Madrid. Plaza del sol, one of Madrid’s main plazas and shopping centers. Madrid is home to several world-class art museums, and each offers free entrance to visitors at various times during the week. 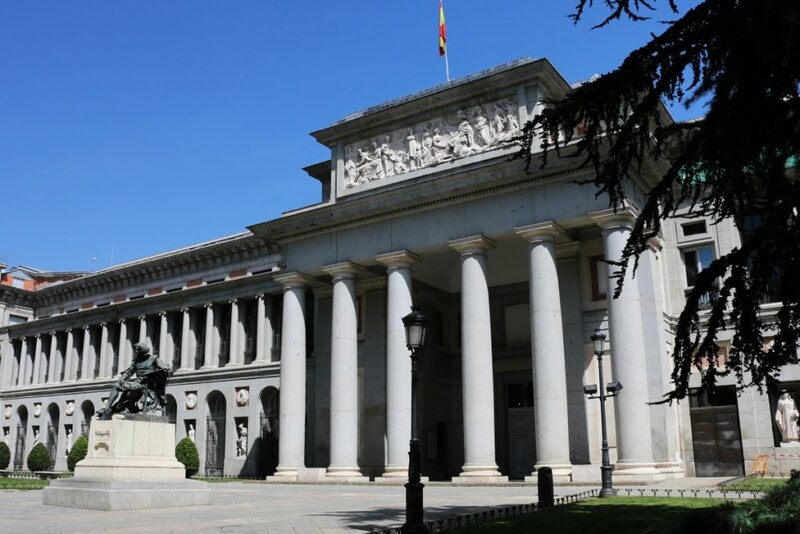 I planned my trip around the museums’ free opening times, and in general, it’s always a good idea to check the opening hours of all Madrid attractions because many places are closed on random days or at unexpected times. The Prado is open every day from 10AM – 8PM. Luckily, I bought my tickets online ahead of time, and each of the three days I went, I got to cut to the front of a discouragingly long and hot line. Entrance is free to the general public every Monday–Saturday from 6PM – 8PM, and Sunday from 5PM – 7PM. According to the website, the peak visiting hours are actually at midday, from 11 AM – 1:30 PM, so you won’t be fighting the crowds during the free evenings at the Prado. The Prado. One of the best museums, anywhere. Velasquez’s Las Meninas. Brueghel’s The Triumph of Death. Bosch’s The Garden of Earthly Delights, which you have to see before you die. The Museo Reina Sofía is Madrid’s bold contemporary art museum, home to Picasso’s Guernica and other masterpieces of modern and postmodern Spanish art. It’s free to the public on Monday and Wednesday–Saturday from 7PM – 9PM, making it ideal for a quick visit before dinner somewhere in the adjacent foodie neighborhood of Lavapiés (think Senegalese, Mexican, haute vegan, Caribbean, and of course, Spanish food). The Reina Sofia is also free on Sunday from 1:30PM – 7PM. The Museo Thyssen-Bornemisza holds the world’s second-largest private collection of art acquired throughout the 20th century by the German-Hungarian captain of industry Heinrich Thyssen, and his heirs. I was astonished by how many famous pieces this family had managed to collect, everything from the Old Masters to impressionist, expressionist, and surrealist masterpieces. The museum is free every Monday from 12PM – 4PM. The Lazaro Galdiano Museum houses the private collection of the museum’s namesake. The Spanish financier and publisher acquired a significant collection of the Old Masters and religious iconography, as well as furnishings, textiles, and jewelry, all of which are on display in his opulent mansion for free to the public on weekdays and Saturday from 3:30 PM – 4:30 PM. The Spanish Royal Residence, the Palacio Real, has free admission for citizens and residents of the European Union and Latin America. Times vary depending on the season, but it is generally free during the late afternoon on weekdays. The Museum of the Americas, an ethnographic museum of objects from the New World, is free on Sunday from 10 AM – 3 PM. I loved this museum. I am obsessed with the era of discovery, antique maps, and indigenous artefacts, which paint a sometimes gruesome picture of Spain’s colonization of the western hemisphere. 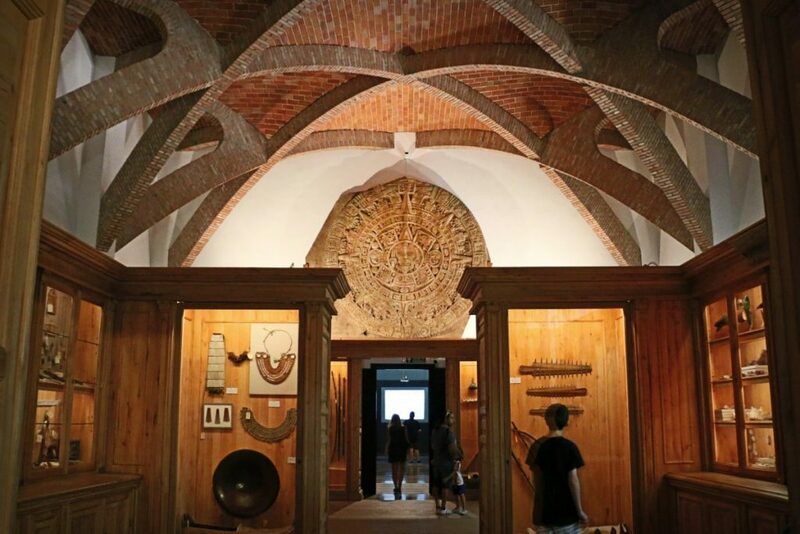 The Museo de las Americas, an ethnographic cabinet of curiosities from the New World. Most exhibitions and events at the Matadero community art center are free and open to the public. 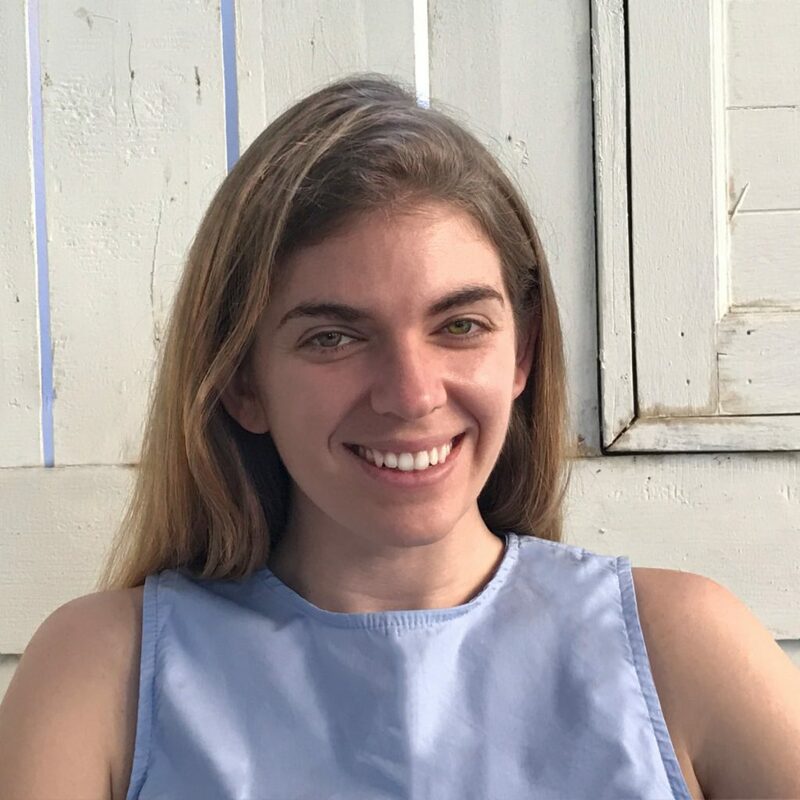 It seems like there’s always something exciting (and free) happening there: photographic and visual art exhibitions, film screenings, free Hollywood movie nights, invited talks, and music and dance performances. We saw a documentary about a Kenyan slum and a photo exhibition of the Mediterranean refugee crisis. Tickets to see a movie at the art-deco theater Cine Dore are only 2.50€. The arty, independent movies are not always first run, but they are always first rate. Grabbing a snack at a neighborhood Spanish tapas bar or taberna is very reasonable: a glass of wine is only 2€, and sandwiches or tapas cost around anywhere from 2–5€ per plate. Not free, but a very inexpensive way to spend a few hours people-watching at a plaza or hanging out with friends. Lavapies is Madrid’s hippest neighborhood, and the best place to get the best ethnic food pretty much anywhere. 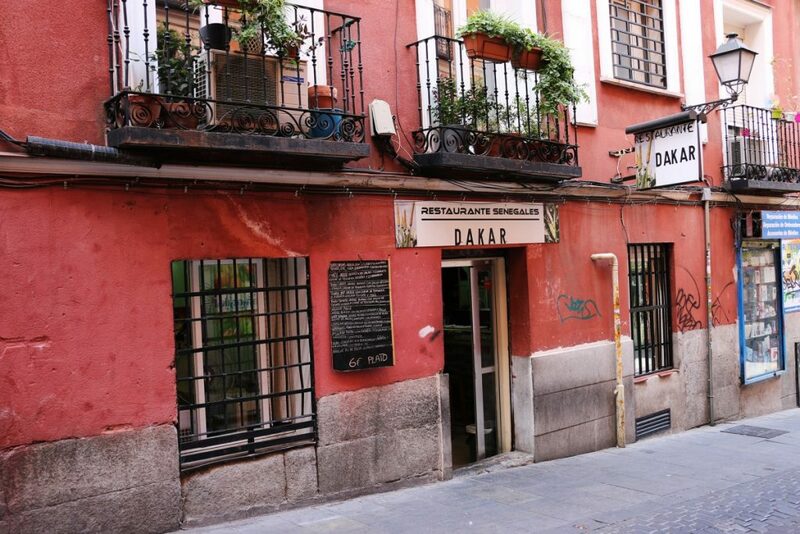 In the multicultural Lavapiés neighborhood, where I found the BEST ethnic food in Madrid, the Senegalese restaurant Dakar was my favorite. I ate here three times in five days. My need for their spicy rice dishes would have gotten embarrassing, except the guys who work there were so cool and friendly, and understood my need for habanero. Heaping portions of hearty curries and succulent stewed meats with intriguing spice blends, at 6€ a plate. I’m still dreaming about it. Restaurant Dakar in Lavapies. I sometimes think of planning a trip to Madrid just so I can eat here again. Desperate Literature is a hip expat bookstore not much bigger than a closet, filled with used English and Spanish books. It’s as if all of your friends picked their favorite books to fill a bookstore with, and then wanted to talk with you about them. I was also in dire need of an English bookstore where I could get my hands on Elena Ferrante’s second Neapolitan novel, as I had blazed through the first on the plane to Madrid. Things like people watching in the Plaza Mayor, or window shopping along the Gran Via. Browsing the open-air booksellers on Madrid’s Calle de Claudio Moyano, between Atocha train station and the southern end of Parque del Retiro. It reminded me a lot of the book stalls I love along the Seine in Paris. Combing the flea markets for treasures, such as Sunday’s El Rastro in the La Latina neighborhood. 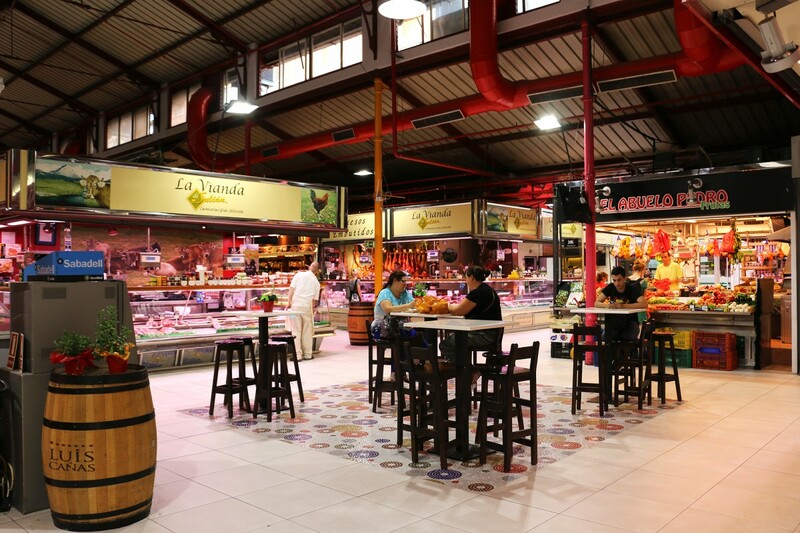 And visiting the many food markets throughout town. Having lunch at one of Madrid’s many covered gourmet food markets. Visiting Madrid’s many green spaces: the Egyptian Temple of Debod, the Parque del Oeste near the Palacio Real (especially the rose garden), and the sprawling Parque del Retiro behind the Prado. The National Library of Spain, the Biblioteca Nacional, has a nice museum with exhibitions on Spanish authors and literature. It is always free, but the exhibitions are only in Spanish. Madrid cathedrals and churches are free to visitors (fyi: this is not always the case in Spain, there is a cover charge to enter the cathedrals in Segovia and Toledo, for example). 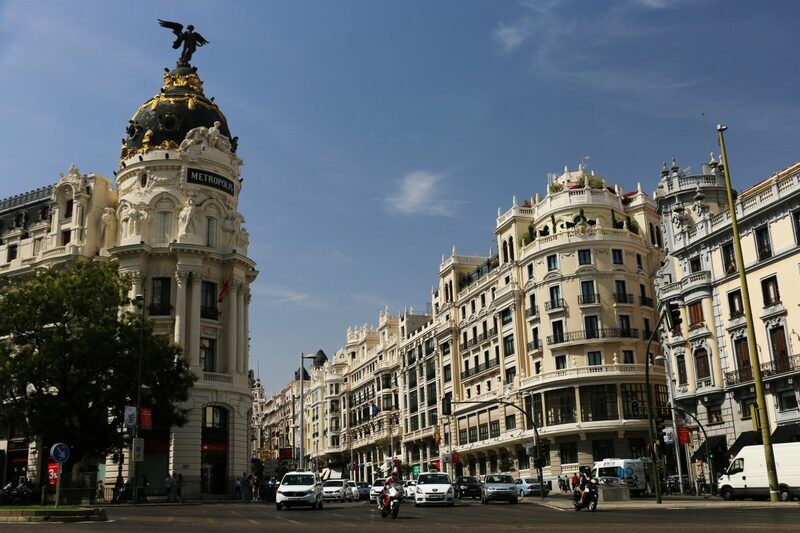 What are your favorite free or nearly free things to do in Madrid? Dakar was the culinary highlight if the trip. What a pleasant surprise! Gotta go to Senegal some time soon.